I caught up with Chevel Shepherd on the red carpet immediately after the show to get her take on her final competitive performances of the season. We also discussed her relationship with coach Kelly Clarkson and the valuable experience that Kelly provided her given that her mentor also competed on a signing competition program. 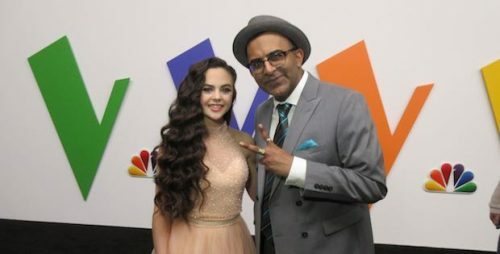 Finally, we discussed the fact that she is only 16 years old and if she bonded with Kennedy Holmes as the two youngest singers still on the show. Finally, Chevel told me what she thought was her best performance of the night.